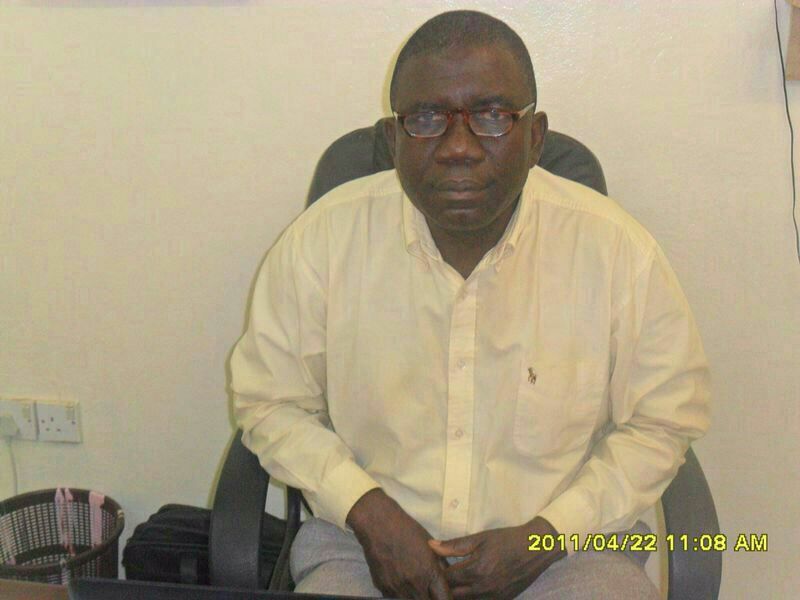 On Thursday, 8 October, Sierra Leone’s minister of health and sanitation – Dr. Abu Bakarr Fofanah (Photo) officially thanked the Cuban government for coming to the aid of Sierra Leone in the fight to contain the Ebola outbreak in the country. Ebola has affected the lives of millions of people in Sierra Leone. Welcoming the Cuban contingent of 165 medical doctors, nurses and administrators at the Miatta Conference Centre in Freetown, Dr. Fofanah spoke of “the long standing bilateral relationship between the two countries”, which he said is characterised by mutual respect – since the days of Siaka Stevens – former President of Sierra Leone”. The health minister said that the arrival of the Cuban medics and their love for profession, and dedication to the saving of life which along with their bravery, will be noted in the annals of the history of Sierra Leone. But how sensitive was the health minister to local health workers, who have been at the frontline of fighting the virus? 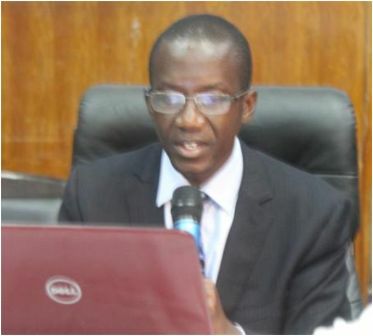 Dr. Fofanah described Ebola as deadly, new to the country as well as to the health profession. He said that the Ebola outbreak arrived in Sierra Leone at a time when the country’s economy was fast growing, especially in terms of infrastructure and human development. But the minister’s call for the country’s health professionals who have been at the frontline – sacrificing their lives and putting their families at immense risk – “to join the fight”, will not go down well amongst local doctors, nurses and other health workers. Questions are bound to be asked, as to whether the health minister – himself a medic, truly values the work of his colleagues in the country, and the sacrifices they are making to save lives, under very difficult circumstances and working conditions. (late Dr. Modupe Cole). He pleaded to those at risk of contracting the virus to seek early testing and treatment in order to improve their chances of survival. He condemned those stigmatizing people affected by the disease, and said that survivors must be embraced in society, as they are no longer at risk of infecting others. World Health Organization (WHO) Representative in Sierra Leone – Dr. Samuel Kartez, described the work of WHO as “enormous in the fight against the Ebola”, and welcomed the contribution being made by several countries to help combat the virus. 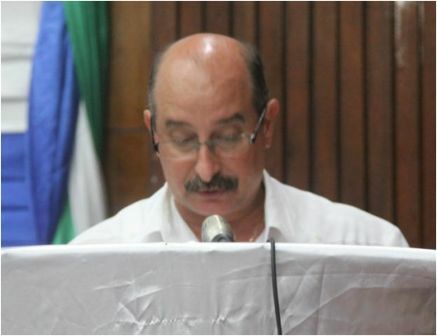 Kartez spoke of “the unique relationship between WHO, Sierra Leone and Cuba”. He said that the Ebola outbreak is being fought with commitment and solidarity by all involved. 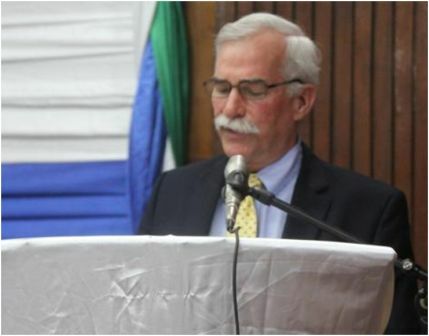 Jorge Nicolas – Cuba’s Ambassador to Sierra Leone, described the Ebola disease as a threat not only to Sierra Leone and West Africa, but to the whole world. A killer disease he said, that has the potential to destroy humanity. The Ambassador said that although WHO had facilitated the arrival of the Cuban medics in Sierra Leone, he regards the fight against Ebola as Cuba’s fight also, given the close relationship between the two countries.